LITTLE HOUGHTON, England, September 27, 2017	(Newswire.com) - Taking popcorn beyond its traditional cinema connotations is the fresh goal of Scyphus. Leslie Carr, Director, Scyphus says so. Established since long as a leader in the branded paper cup and accessories industry, in not only the United Kingdom but in other European countries too, the company has already chartered a new course and is setting sail. 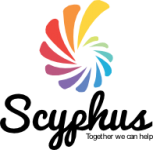 Scyphus is henceforth positioning itself in the events industry by supplying popcorn machines for hire, as well as taste-bud tricking popcorn and exquisitely branded popcorn boxes as an ideal snack option to spice up exhibitions, parties, events and even weddings. Who does not like the tasty smell of fresh popcorn wafting in the air? Whether it is participants at a corporate event or a fund-raising activity, invitees at a birthday party, an anniversary or even at a wedding, every person, young and less young, cannot resist the buttery scent of freshly popped popcorn. 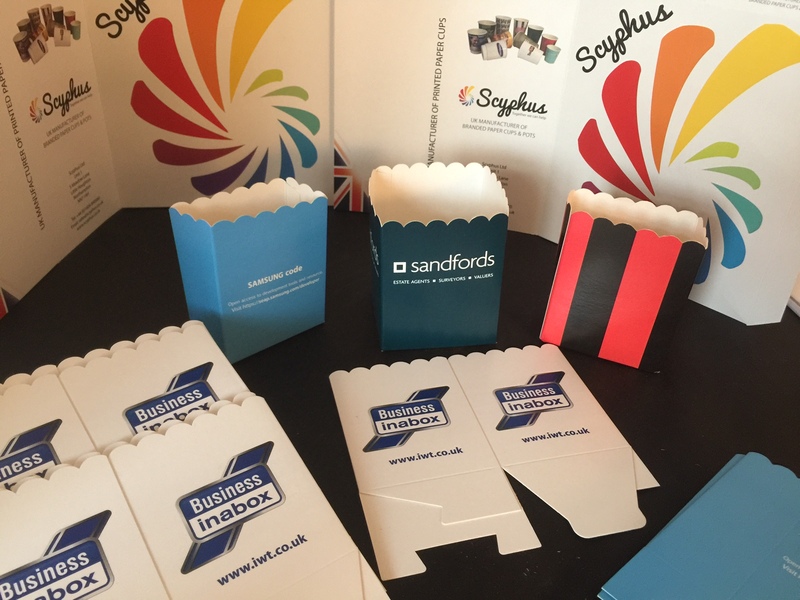 By renting its new popcorn machines, providing its already popular branded Popcorn Boxes, as well as flavourful popcorn, Scyphus is offering clients the opportunity to add a touch of fun to their events and ensure that their invitees and participants love it. From birthdays, baby showers, parties, fundraising activities, corporate events, holiday gatherings to weddings, Scyphus has developed the perfect strategy to work closely with clients to seamlessly incorporate the eye-catching popcorn machines and scrumptious popcorn mixes made fresh on spot, into their celebrations and events. 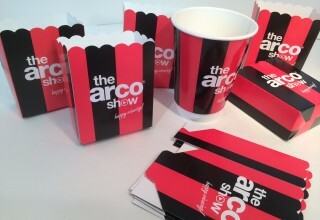 The Personalised Popcorn Boxes will systematically add unique notes to the event; organizers of corporate events will have an exclusive opportunity to raise brand awareness with their messages or logos featuring on the high-quality Popcorn Boxes, while fundraising activities will systematically be able to attract more participants by delivering impactful messages on the boxes. Popcorn is being reinvented. Adding more taste to weddings with popcorn is the new trend in many countries. Popcorn bars are becoming a fun and tasteful way to delight guests, or give them something delicious to snack on their way back home. By presenting the snack with a personalized stroke, hosts can spruce up their celebration with this signature touch. To further personalize the wedding celebration, the Customisable Popcorn Boxes proposed by Scyphus will bring more smiles. They can be printed with a Thank You message, a monogram or any design to match the theme of the wedding. The company equally has an in-house team that can help clients create the most attractive and fun Popcorn Boxes with virtually unlimited options. Consumers in the United Kingdom (UK) are ditching the traditional popular cheese and onion, and salt and vinegar crisps for the transatlantic upstart-popcorn. A National Popcorn Day is even held on the 19th of January. Climbing steadily in the last years, the sales of popcorn reached £129 million in 2015. This figure is expected to continue its steady ascension in the years to come as the momentum for ongoing and sustainable growth is high. A national survey conducted in the UK in January 2017 by Eureka!, a specialist market research agency, concluded that more and more affluent women in their 20s and 30s with young families are purchasing popcorn. While many are opting for popcorn motivated by health reasons, most of the participants stated that their reason for buying popcorn is simply to have the “popcorn experience”. According to Mintel, a global and award-winning provider of market research, “popcorn is the star growth performer in the crisps, savoury snacks and nut market, more than doubling in size from 2010 to 2015”. Even if the popcorn industry is relatively small in Europe, it is expected to grow steadily by approximately 7% annually, at least until 2020. This sharp growth is also largely attributed to consumers wishing to discover new exotic flavours in the popcorn range. Witnessing this exponential growth and the changing attitudes in snacking, Scyphus gauged a good business idea and was quick to react by offering distinctive products and services in the popcorn market. Placing itself in the skin of potential clients, the company decided to go an extra mile in responding to customer demand by proposing personalized touches to meet requirements and desires, and healthy snacking at the same time. Becoming more health-conscious, UK consumers are expressing stronger demand for healthier snacks, ready to pay more for healthier options, like all-natural snacks free from artificial colouring and flavouring. According to Mintel, 70% of snackers agree that manufacturers should reduce sugar in snacks, saying that they would prefer natural sugar alternatives such as honey or agave syrup. Freshly-made popcorn is indeed a healthy snack. Air popped, it contains only thirty calories per cup. Depending on its mode of preparation, it may have less than half the fat contained in potato chips. High in fibre and nutrient-dense, popcorn is also ideal for dieters and makes a perfect snacking option for everyone. Popcorn is also considered as a great cure for cravings. Made on spot, fresh popcorn differs from microwave popcorn packed with dozens of chemicals. It is no surprise that Britons, aware of this fact, are shying away from bagged popcorn and opting for freshly-made ones. Popcorn is furthermore a highly versatile snack, offering an explosion of flavours when combined with different ingredients. It has shifted from the traditional salty and sugary buttery snack to a more gourmet style. Toppings such as chocolate, caramel and even cheese blend perfectly well with it, and logically, the amount of calories will differ. These flavour innovations are attracting young consumers, more likely to snack. Other quirky and atypical flavours range from chilli, zesty lime to yogurt. In 2016, the most popular flavours in the UK were the Sweet and Salty, Sweet, Toffee and Salty. The innovative and exotic flavour ranges are visibly going to continue driving consumer interest for quite some time. We are a 100% UK manufacturer of printed paper cups, specializing in branding bespoke high quality paper cups to your corporate. Business or personal brand identity at the best cost available all over UK and EU. The Paper Cup Manufacturing business is so volatile and shape changing that veterans like Steve or Leslie have to be always on their toes to look above and beyond what's happening in the coffee and coffee cup market at this moment, and predict what's to come, and yes, Organic Coffee is set to rule now.